The month opens with great focus around projects, work or maintaining a sense of stability and productivity, but quickly steers your focus in the direction of partnership and collaboration, Virgo. With sun and Mercury together in your zone of habits, health, daily routines and your role, you start February in earnest. Your love life, sense of intimacy or private affairs continue to be heady and intense, as lusty Mars in your commitment zone turns up the heat on serious subjects. Valentines Day sees a peaking of this spicy, unpredictable energy, as Mars and Uranus come together in the skies (expect fireworks, Virgo), emphasizing how far you’ve come in turning around your closest unions. There’s great lessons to be learned in special partnerships now, and you’ll not be wasting your time reflecting and reviewing the growth experienced to date. The new moon (at 9.04 pm GMT) on the 4th is a wonderful time to affirm a fresh start for ways of working, or to switch up your day-to-day rituals around wellness and feeling at your best. You might want to use digital devices to help you stay on track! The 8th and 9th are lucky days for your sense of stability, and to recognise how you’ve cultivated a positive foundation for your private life, while the 10th allows you to go deeper within relationships. If you’re planning a special evening of love be sure to note the weekend of the 16th as a romantic high, as Venus in your passionate zone of fun, play and recreation syncs with dreamy Neptune in your partnership area – use contraception unless you want a surprise Scorpio to celebrate! The full moon on February 19th peaks at 3.54 pm GMT in your sign, Virgo, putting the emphasis on your physical body, your presence and autonomy. Conversations at this time could be particularly pertinent, especially if you’re looking to get a straight answer from someone you adore! 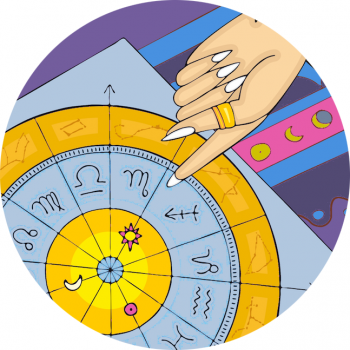 Friday the 22nd is the one day that throws a spanner in the works, as a growing sense of emotional stability clashes with the engagement you’re looking to get from another. Feelings could overwhelm what otherwise is a very committed love story. Watch your expectations in the last week of February. While you could get exactly what you want there is the potential for something you enjoy or adore falling a little below par, not quite living up to your wildest dreams, or loosing out on some sense of enjoyment. Lady Venus comes into karmic flow in your pleasure zone, and a community outing could encourage you to act with extra grace and dignity. Allow friendly faces to help guide you through any disappointments.